BIOTECON Diagnostics also provides complete solutions for entry into PCR technology. Following extensive consultation with our team, tailored solutions for individual customer needs and laboratory requirements are implemented. The perfect device selection is made from a large portfolio of laboratory equipment. We offer matching consumables for all equipment obtained through BIOTECON Diagnostics. All of our recommended products were extensively validated in combination with our offered equipment and BIOTECON Diagnostics products. 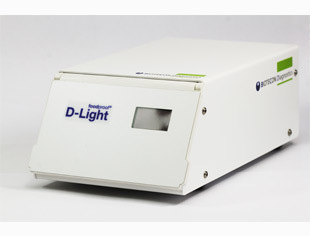 The foodproof D-Light instrument is designed for the differentiation of DNA from dead and living cells. The reaction principle is a photoactivation using Reagent D to avoid false-positive PCR results. Exposure to visible light leads to covalent binding of this substance to DNA and prevents the DNA from being amplified via PCR. It works as a preliminary step of sample treatment before the DNA extraction. The stand-alone foodproof D-Light is a compact benchtop solution that fits in every lab. BIOTECON Diagnostics offers its customers complete workflow solutions, either via manual or automated sample preparation. The combination of the foodproof D-Light and Reagent D, foodproof sample preparation kits and subsequent real-time PCR detection kits and all assay-required laboratory equipment represents a true “One- Stop-Shop” solution for the customer.